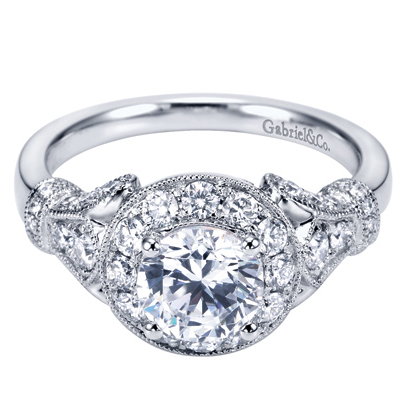 A halo of diamonds that surround the center stone creates an elegant vintage appeal. 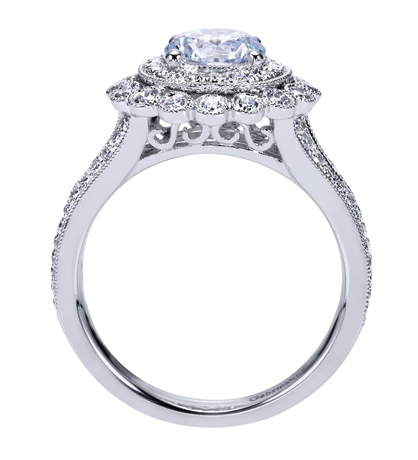 Your engagement will truly be a special affair with this 14K White Gold Round Diamond Side-Stones Vintage Halo Engagement Ring. 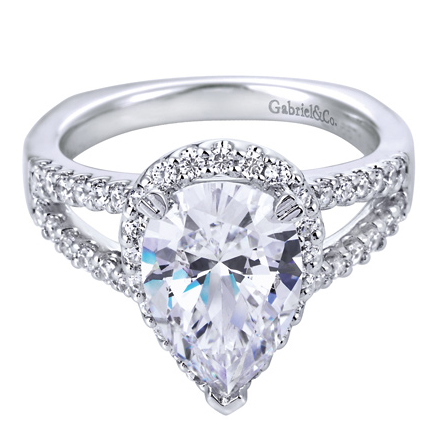 A lovely pear-shaped center stone. A diamond studded split shank white gold band. 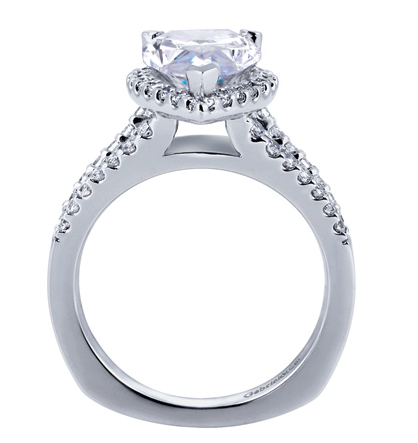 Appeal to her finer tastes with the 14K White Gold Contemporary Halo Engagement Ring. 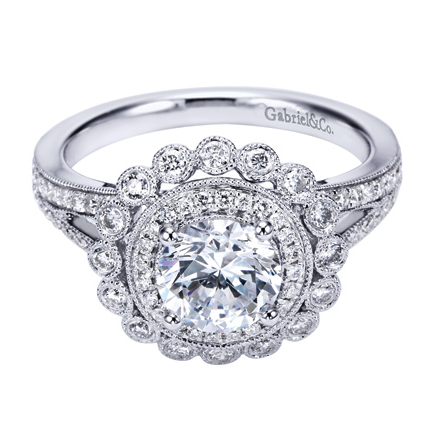 This brilliant engagement ring’s radiance can only be outshone by a beautiful love story. 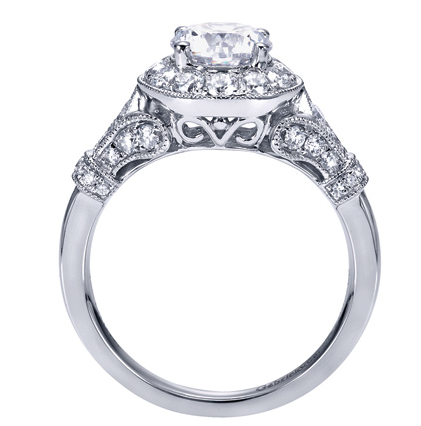 Show how deep a love can be with this 14K White Gold Round Diamond Side-Stones Vintage Halo Engagement Ring. 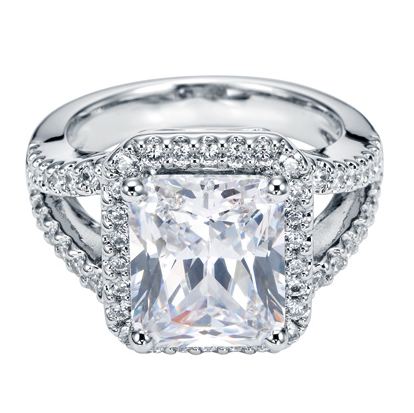 A brilliant princess cut center stone is delicately showcased from this split shank white gold ring. 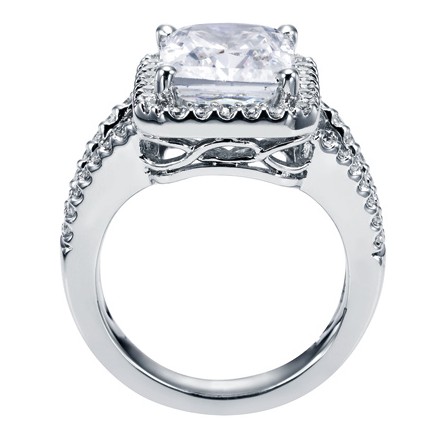 She’ll be overcome with delight upon first sight of the 14K White Gold Contemporary Halo Engagement Ring.